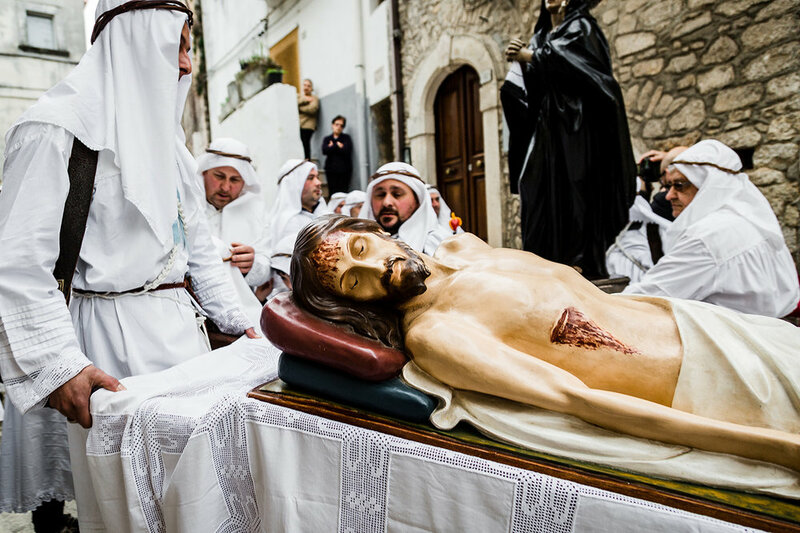 Good Friday is the day catholics recall the crucifixion of Jesus Christ. All over the catholic world grief is commemorated with images of the cross, of the beaten body of Jesus and of the mourning Virgin. It’s the day of death. Not far from where I was born there is a beautiful little town called Vico del Gargano. I arrived there at 8 in the morning, on Good Friday. 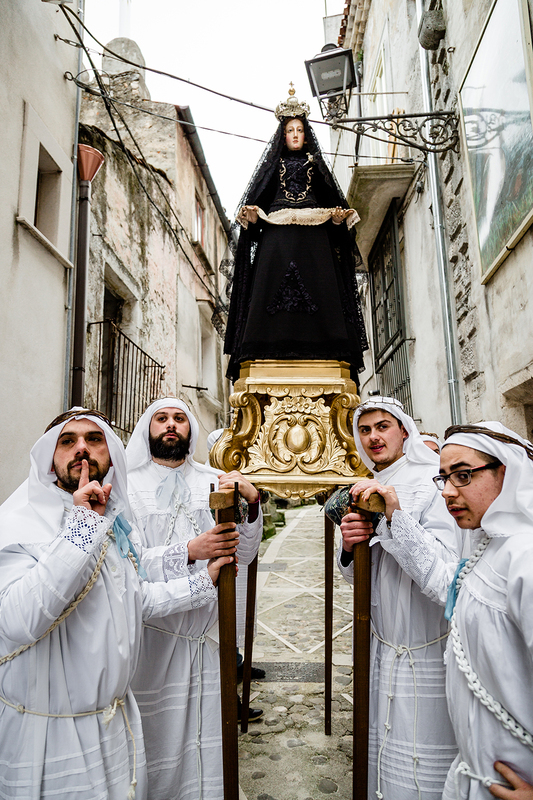 Every year, on that day, at that time, the members of the five local brotherhoods wear their traditional robes and start carrying around wooden sculptures of Jesus and the Virgin. 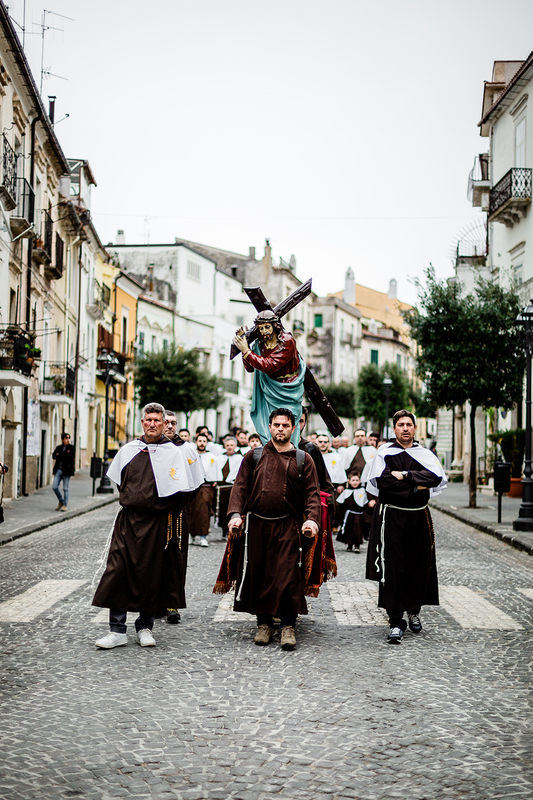 They go to all the twelve churches of the old town, singing out loud gloomy and sorrowful hymns in Latin. 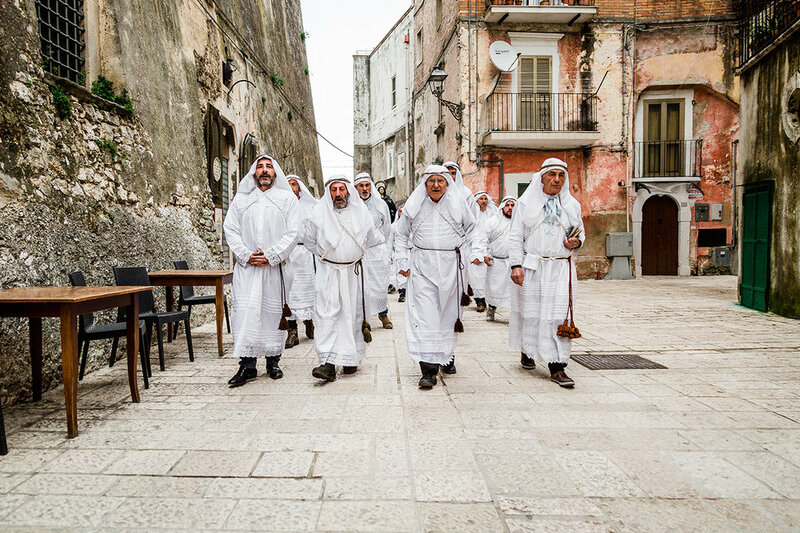 They walk all day by foot, in penance. It’s a day of great spiritual involvement for everyone, even for non believers like me. 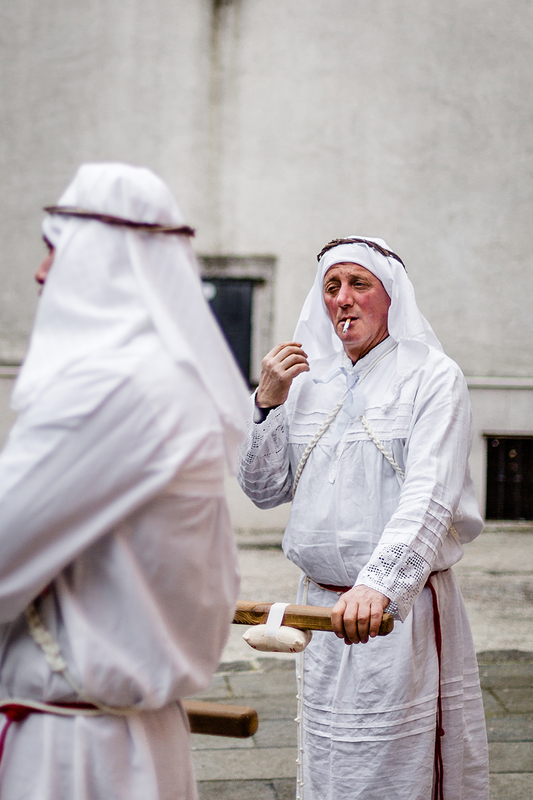 This is one of the few places where these timeless and ancient traditions are still on, unchanged. And if it wasn’t for their sneakers, their smartphones and their sunglasses, it would be really hard to tell in which year you’re in.